The audio version was a good fit for this book. He reveals truths about the kingdom that the modern Church needs to consider. In-line with so much of what Dallas Willard attempted to teach. What did you like best about Soul Keeping? What did you like least? Great Ideas - much of which are a summary of Dallas Willard's thoughts on Spiritual Formation. Ortberg is funny and has a great voice - it's too bad he did not narrate this audio book. It really detracted from his ideas that the narrator failed to capture his humor or proper emphasis. 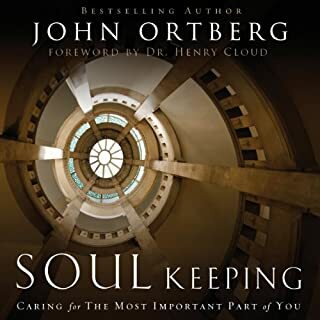 Ortberg is funny and has a great voice - it's too bad he did not narrate this audio book. It really detracted from his ideas that the narrator failed to capture his humor or proper emphasis. Dallas Willard and John Ortberg explore what it means to live well now in light of God's kingdom. They reflect on the power of the Trinity in our lives, the meaning of knowledge, the importance of spiritual disciplines and much more. 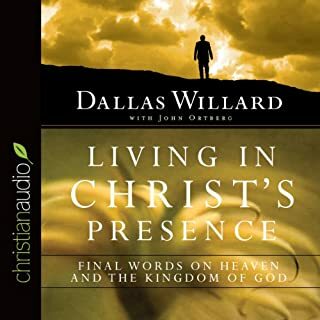 Dallas Willard offers poignant thoughts about what it will be like to transition into the very presence of Christ in heaven. 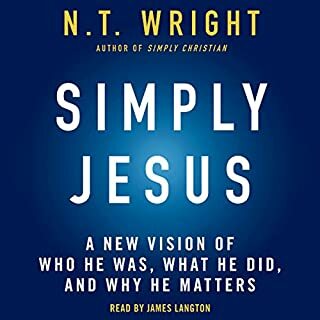 This audiobook is adapted from the talks given at the February 2013 Dallas Willard Center "Knowing Christ Today" conference in Santa Barbara, California. It's an awesome venue with John Ortberg interviewing Dallas Willard about all things important to living truly as a disciple of Christ. What was one of the most memorable moments of Living in Christ's Presence? Have you listened to any of Dallas Willard’s other performances before? How does this one compare? This was my favorite because he is actually speaking rather than a hired voice.